Japan have only one job, pick a point at least against Poland who have their bags packed and have absolutely nothing to fight for here. It should be a stroll in the pack for the Asian side who would look to do their continent proud and progress but if you saw Germany against South Korea you would have a change of mind. Robert Lewandowski and the entire Polish team have let their country down massively, they were tipped to top the group but managed to lose their first two games, the second in an embarrassing manner and now face a flight home after just the group stages, talents and power without ambition is a baggage of liability. 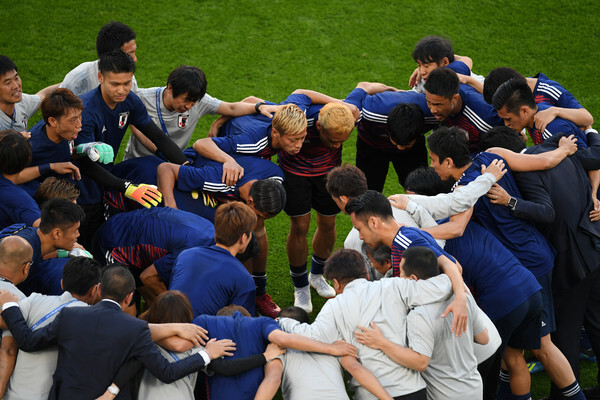 Japan did their nation huge favours when they fought back twice to pick a point against Senegal in their second group game and now have to complete it with a similar display and advance. Poland might want to be a spoiler, just like South Korea; a European team might look to return the favours of yesterday by an Asian team to a European team so Japan must be up for it. The Polish haven’t really established any known style of play, they are disjointed and have never played as a unit, it’s up to Japan to dominate with their high pressing style and hit them hard. Should Japan lose here, they could still crash out depending on the dynamics at the other end, they should not forget that Colombia beat Poland by three sleek goals, goals difference can be an albatross sometimes.